How fabulous. I had an invite too, but sadly couldn’t make it. It would have been lovely to meet you. Looking forward to seeing what you do with your new found knowledge! Hi VP, That’s a shame, it would have been good to see a fellow blogger there and put a face to a name. It is such a lovely place. Great information. Sounds like a wonderful experience. Fantastic to have been invited, you must have had a super day! One thing to read about what Sarah Raven does, how much better to have seen for yourself and get hands on experience with your bouquets of flowers! I thoroughly enjoyed reading this – we went last year when she had an open day and totally fell in love with the place. She’s a huge inspiration, so much so that I have allocated two beds in the allotment to cut flowers this year. I love her books and catalogues – the way she combines colours is fabulous. Thanks for this enjoyable post. I like the idea of combing edibles with flowers and I will definitely try that combo next year. Was it the Jerusalem artichoke or the globe? Hi Sue, It was globe artichoke. That sounds like a day out which is right up your street. I can’t wait to see the bits you take from the day and put in to practice. 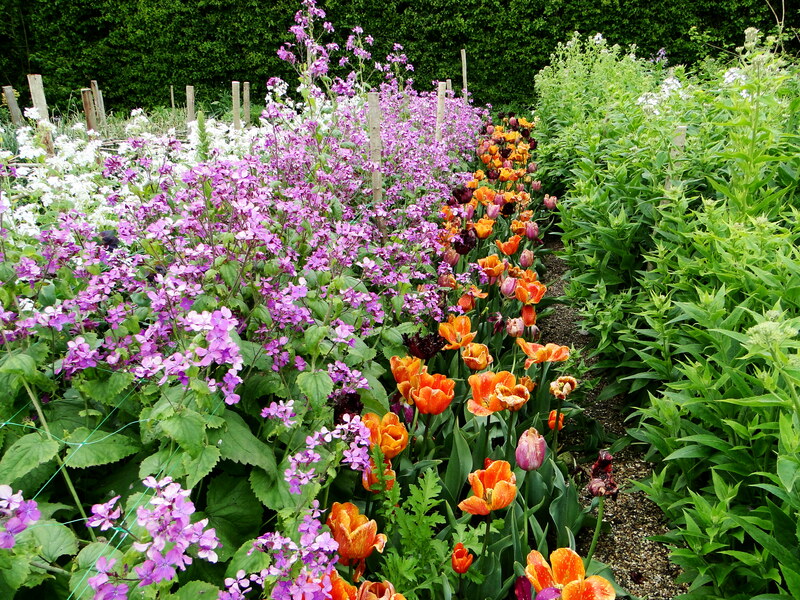 how fabulous…I have always longed for a cutting garden. Lucky you! And thanks for sharing some great inspiration and ideas. The way of looking at the different flower seasons is really helpful. Sounds like you had a wonderful time. 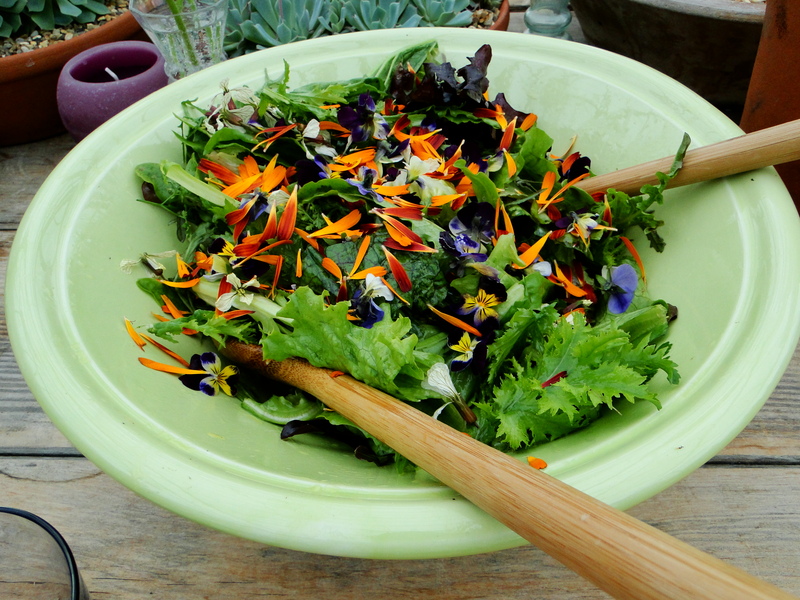 The salad looks very appetising – and very colourful! 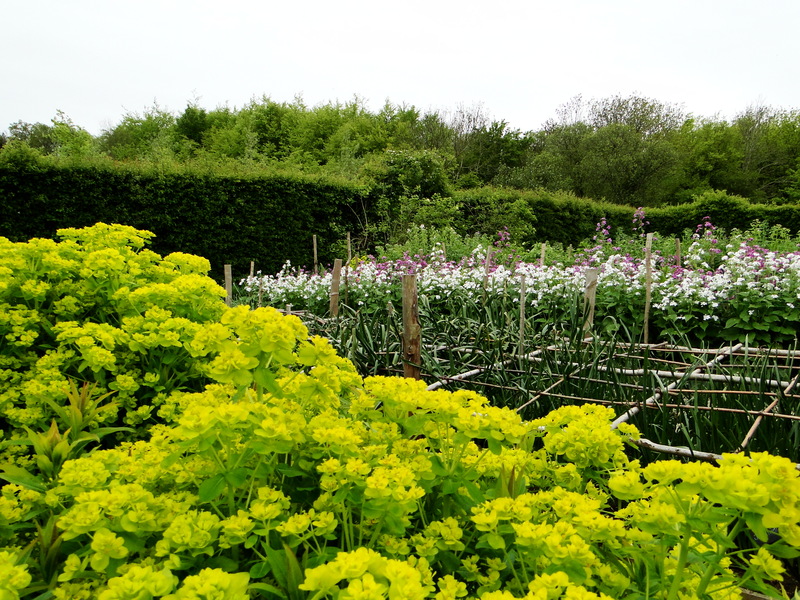 I went a couple of years ago to the Spring Open Day – unfortunately after a hard winter and slow start to the year, there was only bare earth and the structure of the garden to see. It still made for a fascinating day out as I was able to see the structure that underpins everything – and, of course, meeting Sarah who is very generous with her knowledge. How wonderful to get invited to a press day – how did you manage that … or is that your day job? Sorry to be so nosey, I’d love to know! Hi Caro, Nope not the day job. I really have no idea how. I was, its fair to say, gobsmacked! What a fabulous day you must have had. I wish I had the space to grow and the patience to sow. Her seeds at least are one of the best guaranteed germinators. Hi Laura, It is a fabulous and inspiring place and thank you for your lovely compliment. It was a lovely day wasn’t it!! I have yet to write up my post! Great post and really poking forward to the results this year ! poking??? ! I meant Looking forward ! Stupid auto speller ! I went to Perch Hill a few years ago, WW and was very impressed (the dahlia beds in particular) and have liked the idea of a cuttings garden ever since – still to be realised. Though all my friends can remember of that day were the tiny portions of not inexpensive cake! Glad you had a good day. Dave p.s. Oops. I got relegated from your blog-list – hope it wasn’t something I said!?! Glad to hear that you had such a great day WW. You must have come away positively buzzing. That salad looks like sunshine on a plate but I could not eat such pretty pansies.